I spent the first fifteen years of my career as an industrial mechanic in large manufacturing plants including General Electric and General Motors. My job required that I respond to the failure of complex industrial manufacturing equipment, which included making adjustments and replacing broken parts. At times it was necessary for me to make replacement parts before the repair could be completed. While appreciating the functional aspects of machines, I have always been drawn to the beauty of finely crafted industrial products. At the end of last year, I traveled across Turkey for two weeks as a tourist. My traveling companion read about a decommissioned power plant in Istanbul that was converted into an energy and art museum, called Santralistanbul. Given my history working with industrial equipment, she suggested that I would probably enjoy a visit. We spent a good portion of a morning enjoying the museum and I took over 100 photographs of the complex. The Silahtaraga Power Plant was the Ottoman Empire’s first urban-scale power plant. The facility went into service in 1911 and supplied the city with electricity up until 1983. In 2007, the complex re-opened as a museum of energy and cultural exhibition space, located on the grounds of the Istanbul Bilgi University. At the top right corner of the first photograph, you can see the electrical coils that surrounded the steam turbine shaft once used to generate electricity. 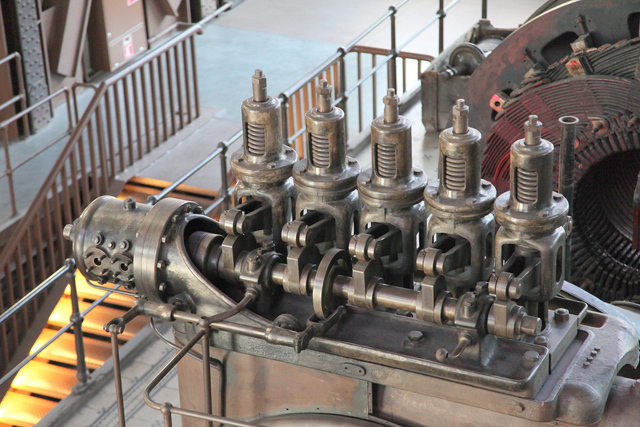 The five valves with springs in the foreground are driven by the cam shaft directly below them and are part of the generator’s steam control system. 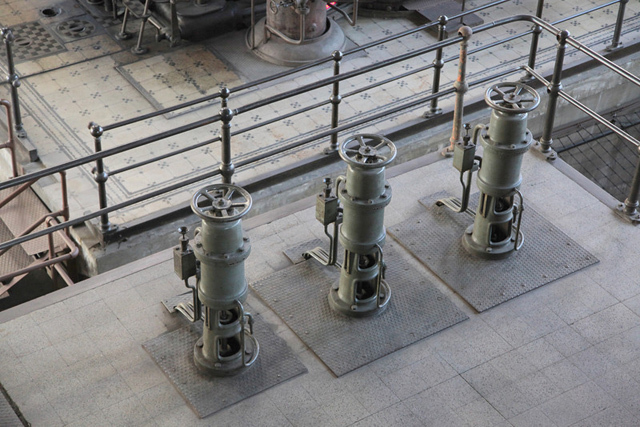 In the second photo, three enormous vertical control valves with auxiliary actuators stand like sentries on a platform next to the steam turbines. In the background ornate floor tiles signal that this is no ordinary power plant. Here, craft and function merge into a power plant of art. Charlie Rosenberg grew up in Louisville, Kentucky, and has lived and worked in Boston for over twenty years. He has traveled extensively, always with camera in tow. More scenes of Santralistanbul and his travels can be viewed here: http://charlierosenberg.smugmug.com/. This post is part of the Fresh Eye Friday series. Learn how to submit your own Fresh Eye.